If you’re running a business, there is plenty for you here too, especially if it’s a startup, online business, or home-based business. With a physical address in a commercial location, your professional image would be strengthened, you’ll have a reputable address to market, and it’ll increase your business credibility. Besides businesses, a physical mailing address benefits individuals too! Let’s dive more into its benefits and how it can be great for you. What is a Physical Mailing Address? A physical mailing address is having a street address to send your postal mail and packages to. 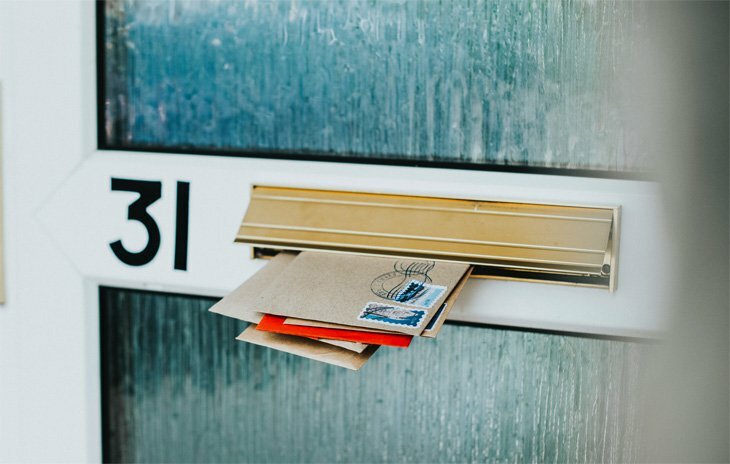 Unlike a PO Box, with a physical mailing address, you can get mail from USPS in addition to UPS, FedEx, or any other mail carriers. You can use this street address for business or personal mail. Businesses seek this option to gain a commercial address for their business, especially if their office is based home, in a small town, in a remote area, or outside the US. Who needs a Mailing Address? How to get a Physical Mailing Address for your virtual business? There are two ways to get a physical mailing address without needing to rent expensive office space or a PO Box. The first is renting a UPS mailbox and the second is to rent a virtual mailbox with a CMRA. Both options will give you a real street address, so what’s the difference? With a UPS mailbox, you get a real street address to send all your mail and packages to. And so, they accept packages from all shipping carriers, not just USPS. Your mail is safely stored until you go pick it up, whenever you’d like. You’ll get a text or email notification with new mail and can have it forwarded to you, wherever you are. However, you don’t get to see the content of your mail and package unless you pick it up or have it forwarded. There are thousands of UPS Stores throughout the United States so finding a store in your preferred location shouldn’t be difficult. However, you will be restricted to this location so it should probably be near your home or workplace. This isn’t an ideal solution if you’re frequently traveling or working abroad. This address will give your business a professional image but you can’t use it on legal or registration documents. A UPS mailbox can range from $20 to $25 per month, which can be high for the set of features offered. Check out The UPS Store website for more info. A virtual mailbox is the latest postal mail service for businesses and individuals, allowing you to access and control all your postal mail through a virtual, online mailbox. Unlike a UPS mailbox, when your mail arrives at the secure mail facilities, you can log into your account through your smartphone or computer to handle your mail. Certified mail operators scan the envelopes of all new mail and send you clear scanned images for you to decide what to do next. You can open & scan, shred & recycle, forward, archive, or delete any mail piece. Once the action is sent out, it is handled and you are left with a clean and organized mailbox. You’ll need nothing but an internet connection to log into your digital mailbox, from any place, at any time. With remote management, you’re no longer limited to the Post Office’s hours or USPS restrictions like mail forwarding to one mailing address. You can forward mail and packages to anyone, at any address, domestically or internationally. And you don’t need to forward the package or go pick it up to see the inside content! You can get your virtual online mailbox for as little as $9.95 per month, saving you a noticeable amount of money. PostScan Mail offers you over 60 locations to choose from, varying from major cities like New York and LA. How to get a Digital Mailbox? You can rent yours today in 4 easy steps! First, you’ll need to choose your plan and mailbox location. Next, you’re required to fill in a USPS Form 1583 to authorize PostScan Mail to receive your mail then you’ll need to get the form notarized. You can get this step done online using an online notary service. Attach two forms of ID with your postal consent form to verify your identity. Once the form is notarized, all your documents will be forwarded to PostScan Mail for the account activation. And just like that, you have a virtual mailbox! Easy, right? After your account is set up, you’ll need to apply for a change of address, it can be done online for $1 or you can go to your nearest Post Office and get it done for free. Getting a physical mailing address doesn’t need to be expensive or time consuming, a virtual mailbox will offer this in addition to a bunch of other advantages, especially if you’re a business owner. You can even share the mailbox with other recipients (employees, team members, partners, etc.) so that everyone can enjoy this business privilege. Each will be able to log in separately and control their mail. Give your business the boost it needs by getting a professional business address!